Sophie had taken the contraceptive Pill since her teens to make her periods more regular and less painful. 6 months ago she had come off it, thinking she would like to start a family before too long. She had still had no period after stopping the Pill. Sophie was therefore concerned that her hormones were out of balance and she might have trouble conceiving. 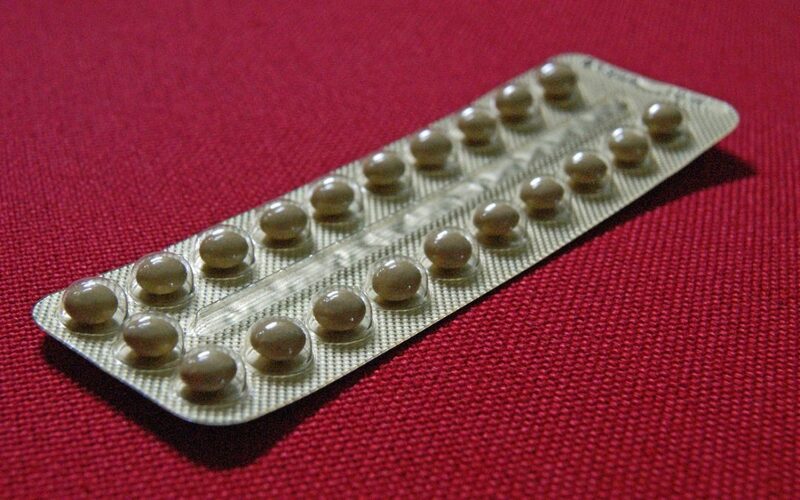 The combined contraceptive pill prevents pregnancy in several ways. The most important of these is the prevention of ovulation (release of an egg). I explained to Sophie that the regular bleeds she had while on her birth control Pill were withdrawal bleeds, rather than true periods. The pill free days had given her the impression of a normal cycle but in fact no ovulation had been taking place. Since stopping the pill, her body had not yet managed to re-establish a pattern of monthly ovulation. According to the NHS website, most women will have a period 2-4 weeks after coming off the Pill and you should allow up to three months for your natural menstrual cycle to re-establish itself fully. If periods are still not regular at that point, it is likely that the Pill was masking an underlying problem of irregular periods. We needed to address Sophie’s tendency to irregular periods as well as any lingering effects of the combined contraceptive pill. We then explored Sophie’s current symptoms in more detail. Sophie told me she sometimes felt as if she was building up to a period- she felt tense, exhausted and a bit bloated and would snap at her partner at the slightest provocation. She just wanted to escape from normal life and go off on her own. She had even taken herself off to the coast on one occasion for some space. Her Zumba class also gave her some relief and actually seemed to help the fatigue. After a few days though these feelings would settle, her partner would breathe a sigh of relief but no period would come. Sophie’s symptoms matched the homeopathic remedy sepia well, so I prescribed this for her once a week. I also recommended a support remedy useful for helping the liver and kidneys to clear conventional drugs from the body. I told Sophie that it could take several weeks for us to be able to assess the effect on her hormone balance and also told her that if this prescription didn’t do enough, we could move on to a more specific Pill detox remedy. 6 weeks later though it was clear this wouldn’t be necessary. A much brighter Sophie bounded into my consulting room saying that she had just finished a period. She had been a bit irritable for a day beforehand but this had felt much more manageable. She had more energy and her partner had been amazed how much easier she had been to live with! We continued treatment for another few weeks by which time Sophie had had another period and felt she was back to her old self. She has decided to wait a few more months before trying for a baby as she has a long-haul holiday booked but hopes that not too much longer after that she will be pregnant. I look forward to hearing how she gets on. Wondering if homeopathy might help you with your periods? Please book a free phone call if you would like to discuss how homeopathy might help you with your periods. You can also read more about me and my practice on my main website.